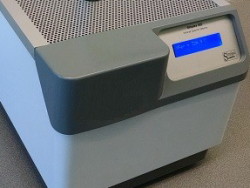 The da Vinci Arm is a unique articulated opto-mechanical FTIR accessory designed for analyzing samples that are too large to fit into the sample compartment of a spectrometer. 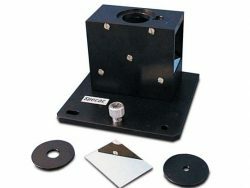 The da Vinci Arm enables the analysis of samples by specular, diffuse and ATR reflection techniques. 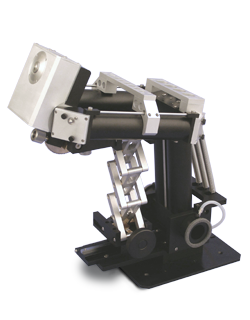 Since the da Vinci Arm is articulated, it simplifies analysis of samples in front of, below, or above the spectrometer sample compartment. The sampling surface can be facing in any direction – up, down, or sideways. Samples such as paintings, vases, sculptures, etc. can now be easily analyzed. 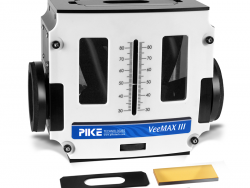 The integral camera provides for magnified viewing and image capture of the sampled spot. The entire optical path of the IR beam is enclosed and integrated into the purge of the host spectrometer. The da Vinci Arm is excellent for qualitative and quantitative analysis of samples that are too large to fit within the FTIR spectrometer sample compartment. 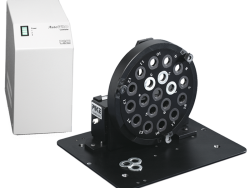 Applications include analysis of neat samples or small spots on large samples via diffuse reflectance, specular reflectance or ATR spectroscopy. Sampling head configurable for diffuse and specular reflectance. Optional diamond ATR sampling head available. Allows both contact and non-contact analysis, depending on the sample. Enables analysis outside the sample compartment. 500 µm diameter for ATR. 1000 µm diameter for specular and diffuse reflectance. Small spot size allows analysis with high spatial resolution. Spectral range: Mid-IR to the FIR. Magnifies the image for easy viewing. Directly views the sample surface. Integrates with your computer for real-time viewing and long-term storage of sampled images. Suitable for use in most FT-IR spectrometers.